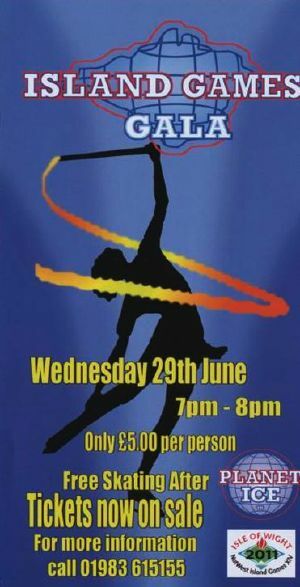 A special ice skating gala takes place during the 2011 NatWest Island Games on Wednesday 29 June from 7pm to 8pm. Tickets cost £5 per person. To book tickets or for enquiries, call Planet Ice Ryde on 01983 615155. The Island Games themselves kick off with the opening ceremony parade in Ryde on 25 June. During the games a number of IW skaters will be present as medal bearers.